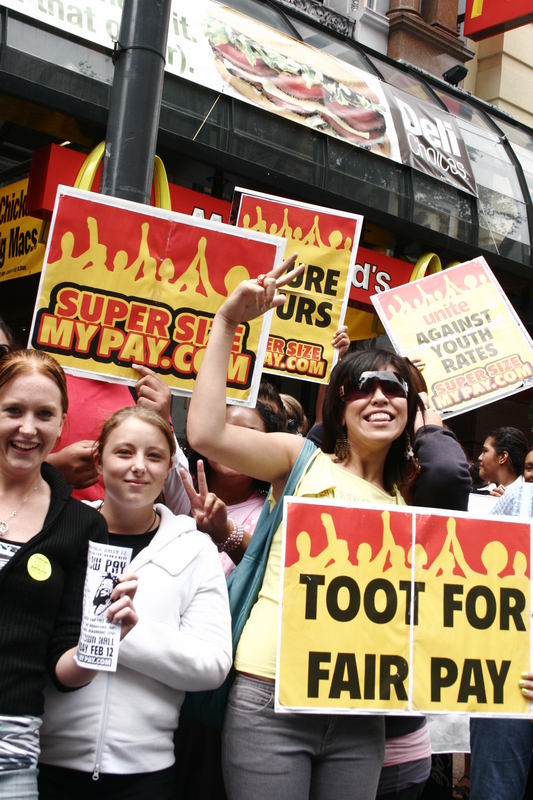 Workers have been cheated out of their lieu day entitlements for working on a public holiday at several fast food companies. By law, workers are meant to get one full day as a paid “alternative holiday” (also called a lieu day) if they work any period of time on a public holiday – if that day is usually a working day for them. So, if the public holiday is on a Monday and I usually work Mondays, I should get paid time and a half for all hours worked and get another full day’s paid leave. Unite Union is looking to employ two part time organisers. Both organisers will have a primary responsibility for visiting, recruiting and representing workers in the fast food industry, cinemas, hotels and security. Organisers need to have some experience as a union delegate, an advocate for workers and beneficiaries or organising experience in community movements. A knowledge of current industrial law would be an advantage. Applicants need to be computer literate. A current drivers licence is essential. The Auckland position is for 20 hours a week. The Wellington position is for 10 hours a week. Both positions are for a fixed term until September 30 when there will be a reorganisation of roles at Unite Union. Applications should be sent by email to Unite National Director Mike Treen (mike) by 5pm, Monday, March 31. Every child deserves a chance in life, but more than one in four Kiwi kids live in poverty. That inequality is the biggest hurdle to educational success. The Government is putting millions into highly paid "new roles" for some principals and teachers, but ignoring child poverty. It has rejected a living wage for low paid support staff such as teacher aides, who directly support students with the greatest needs. 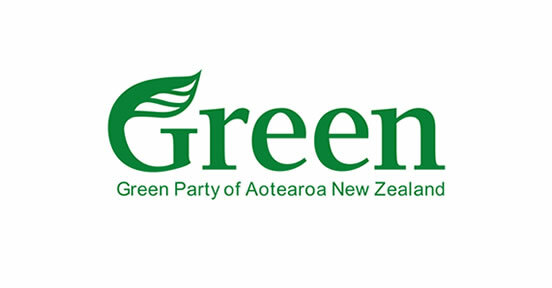 If you agree that tackling inequality must be the #1 priority in New Zealand, and that there must be a Living Wage for Learning for kids and education workers, come and join us to show your support! Call 0800 NZEI HELP (0800 693443) for more information. 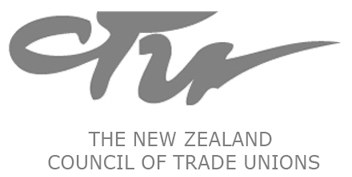 From April 1 all rates in companies where Unite has collective agreements will increase by at least 50 cents an hour. 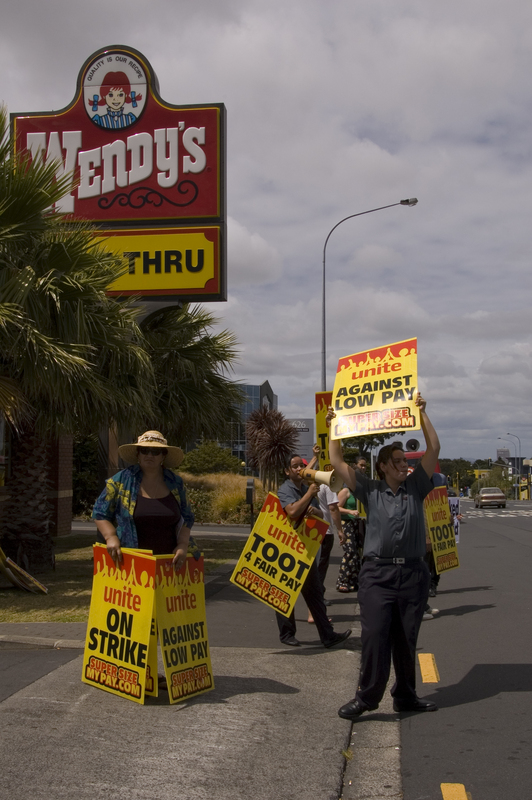 These companies are McDonald’s, Burger King, Restaurant Brands & Wendy’s. All collective agreements at these companies have a clause that all rates would increase by at least 50 cents or the percentage increase in the minimum wage. The government has announced that the minimum wage will increase from $13.75 to $14.25 from April 1. 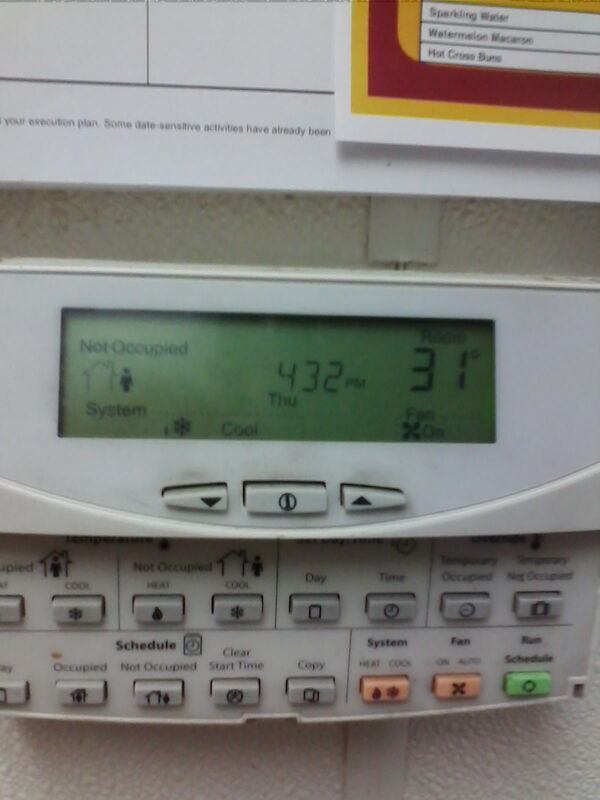 This equals a 3.636% increase on the minimum rate. All rates above the minimum increase by a similar percentage. The different rates for Restaurant Brands (KFC, Pizzza Hut, Starbucks and Carl’s Jr) are in the attached PDF or can be seen here. 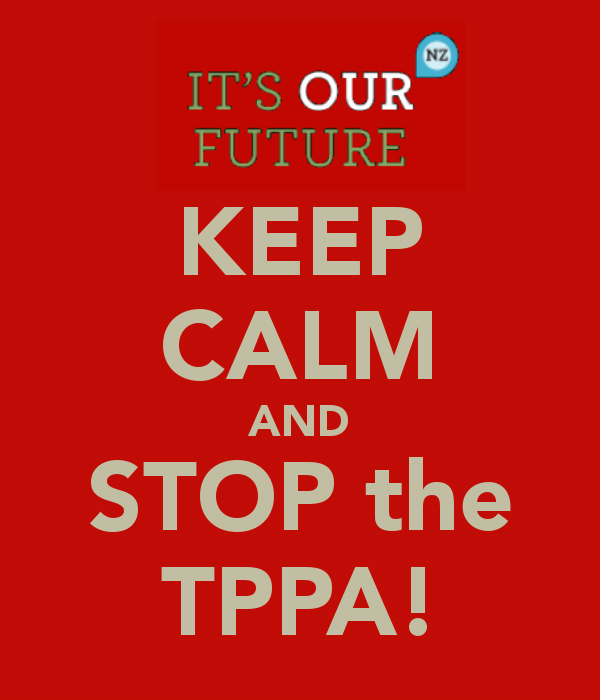 SAT 29 MARCH: JOIN THE NATIONAL DAY OF ACTION TO STOP THE TPPA Is this email not displaying correctly? Contact the organisers of your local event if you can help or chris.zack if you want to start something where there is a gap. Posters and leaflets, templates for placards, and other resources are all on the website or will be soon. It would be great to have lots of colour and creativity – there will be ideas from other international actions on the TPPA on the website too. 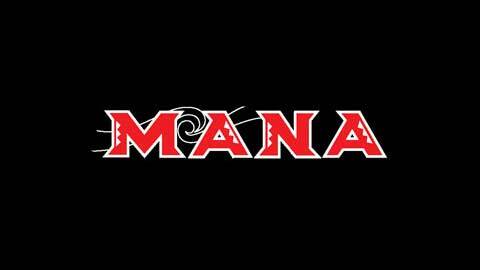 Copyright © 2014 It’s Our Future NZ, All rights reserved. You are receiving this email because you signed up at an event or through the itsourfuture.org.nz website. Support Forestry Families – $3,000 to go! 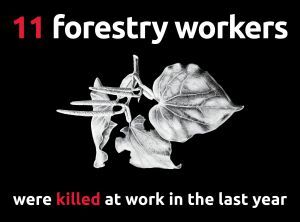 Eleven forestry workers, dads, husbands, sons and brothers, were killed at work in the forestry industry in the last year alone. Many of these families, along with others, who have lost loved ones in the forest want to come together to remember those taken away from them. Please help their families come together on the eve of Workers Memorial Day, for a service to remember and honour their loved ones on April 27. We are fundraising for the costs of travel and accommodation for the families for this important and significant occasion.